A friend casually hinted at me recreating a tapas dish she fell in love with at a restaurant located too many states away to justify a monthly visit. I eagerly and quietly agreed, though I knew nothing about the dish other than the name. 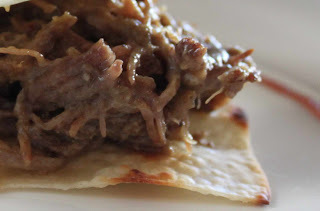 My version adds a hint of sweetness to a heavy braised beef and pork combo, mixing beef and pork in this recipe helps vary the flavor profile. It is quite important to sear the meat first for a deeper flavor. This recipe offers versatility to serve as a tapas dish between crispy spring rolls or to serve as a main entree over polenta (both options explained below). Did I succeed in recreating this dish? In my book I did; turns out we ate it all before my friend even knew it was made- oops; guess I better do it again. It'll be a fat and happy remake! Braising is made for tough cuts of meat rendering the meat to become 'fall off the bone' tender by simmering in juices for hours. 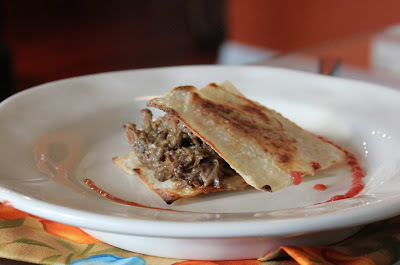 It's a great way to save money because it allows you to use cheaper cuts of meat (pot roasts, rumps, shoulders, etc.) Do use the guy behind the meat counter - they are there to help you! Cover with beef broth (If you use water, add a bouillon cube). Cover and cook in the oven for about 2 hours at 300 degrees, add another 1/2 lb of chopped rhubarb. If the pot is dry, add 2 cups of broth or water. Cover and cook for another 2 hours or until meat falls apart. Using two forks pull the meat apart, leaving some lager hunks together. Toast the spring roll/egg roll wap - take one spring roll wrap, cut into 4 squares and toast in a dry fry pan over medium heat until crispy, flipping sides as they brown. Place one square in the middle of the plate, add a scoop of the braised rhubarb beef and top with a second toasted square. 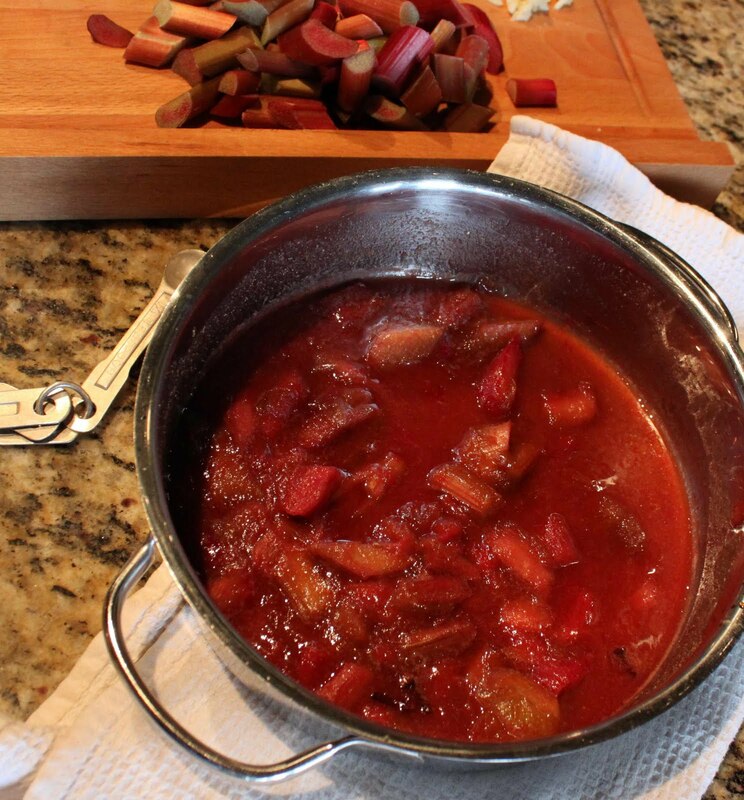 Dress the plate with the zippy rhubarb sauce. Begin the polenta during the last hour while the meat is braising. Start with 1 cup of cold water in a sauce pan. Slowly pour the cornmeal into the water while whisking vigorously. Cook over medium low heat, stirring often, for about an hour. Add in more water as the polenta soaks up the previous. When the polenta is tender with no grit left, remove from heat and whisk in the cheese and lots of fresh black pepper. Add salt if needed, however the cheese may salt the dish enough on it's own. Place all the ingredients in a sauce pan and simmer over medium low heat for about 15 minutes or until the rhubarb is soft. Place the ingredients in a blender and blend until smooth. Strain and set aside until ready to use. I love crock pot recipe! Thank you so much for sharing! I can't wait to try it.